The train has been created done taking into account the convenience and safety: the seats, repeating the shape of the human body, through-spans from the head to the tail of the train, and a separate exit for evacuating passengers into the tunnel. Digital video cameras of outdoor video surveillance are installed on the body of the head car. 4 cameras are installed in each of the cars. The salons are equipped with air conditioning and places for recharging mobile phones. 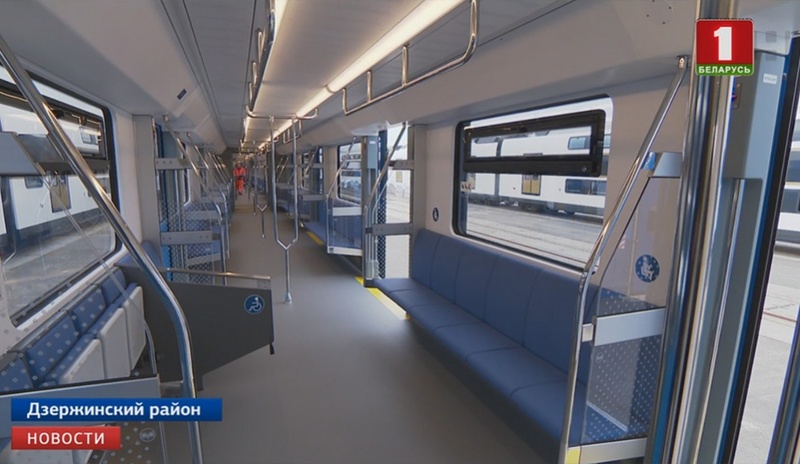 In total Stadler-Minsk will manufacture 10 trains for the Minsk subway, 6 of which will run on the third line of the metro. The contract for the supply of trains for the Minsk subway was signed in 2017. The development is entirely Belarusian.